Constellation Fund – Finding the stars and connecting the dots in the fight against poverty in the Twin Cities. Fact: The Twin Cities is one of the most generous philanthropic communities in the country. Fact: The proportion of our population living in poverty has risen by 60% over the past two decades. we don’t like that math! Constellation uses the best available information to make the best possible investments in the fight against poverty in the Twin Cities. We take an outcome-driven approach by prioritizing evidence over anecdote. We match our best-in-class quantitative analysis with careful qualitative evaluations in order to fund the most impactful poverty-fighting interventions. Constellation partners closely with our community’s most impactful poverty-fighting organizations to help grow their impact. Too many great ideas are stifled by a lack of access to flexible funding and other critical capacity-building supports. Constellation takes a different approach. Since our Board of Directors and Leadership Funders generously cover all of our operating costs, every dollar donated to Constellation goes to the most impactful poverty-fighting organizations in the Twin Cities. Smart philanthropy requires an unwavering focus on an unambiguous mission. Constellation has a single-minded dedication to fighting poverty in the Twin Cities. We judge our success solely by the demonstrable impacts of the grantees that we support. Constellation’s grant decisions are carefully made to maximize impact, much like investment decisions are selected by a financial manager to maximize profits. Central to our decisions is a rigorous, evidence-driven process to identify the most promising nonprofits. We do this data- and research-heavy work so our donors don’t have to. Once the most promising, results-driven organizations in our community have been identified, Constellation supports them with grants, usually of unrestricted funding. This is a rare form of capital in the philanthropic sector that allows the best organizations to grow their impact purposefully. 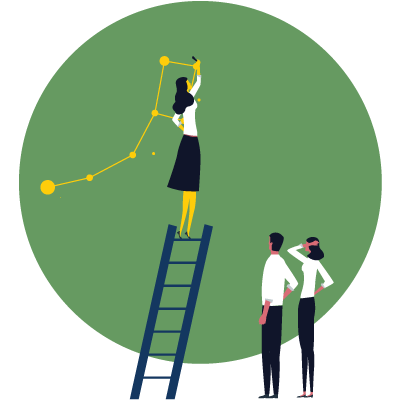 Constellation’s grantees are provided not only with funding, but also with connections to best-in-class pro bono partners to provide services and expertise otherwise inaccessible to most poverty-fighting organizations. There are two essential aspects to the constellations that we see in the night sky: the astrology and the astronomy or, to put it plainly, the stories and the science. Both of these elements carry fundamental truths that are key to truly understanding the significance of the stars. The same is true for philanthropy. Pressing social issues like poverty are filled with complexity. On the one hand, there is the invaluable qualitative wisdom that can only come from on-the-ground lived experiences. On the other hand, there is a growing body of knowledge that exists in data from and research on the countless poverty-fighting interventions being conducted in communities around the country and world. In both cases, this information captures what we know – and exposes what we don’t – about improving the lives of those living in poverty. If thoughtfully used, it can point us toward better outcomes. The Constellation Fund is designed to do just that. We methodically institutionalize the best available information – qualitative and quantitative – into our grantmaking. 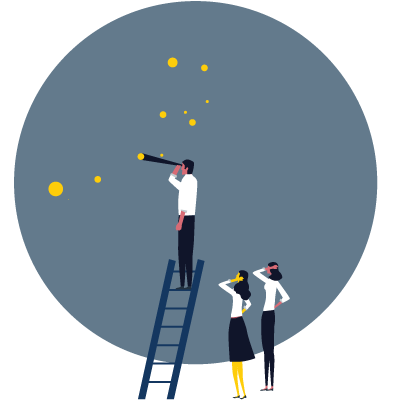 In doing so, Constellation seeks to use evidence to find, fund, and partner with the most impactful nonprofit interventions in our community in order to help our best poverty-fighting assets flourish and scale. We believe that smart philanthropy is kind philanthropy, and invite you to join us in that effort.